The RYA has teamed up with Red Funnel Isle of Wight Ferries to offer an exclusive 10 per cent discount on Day Return, Period Return and Single foot passenger tickets on both Red Funnel’s vehicle ferry and the hi-Speed ‘Red-Jet’ routes from Southampton. ‘With such a large boating community operating out of the Isle of Wight and so many sailing events taking place from the Island, thousands of our members can often be found travelling on the Red Funnel fleet, so having Red Funnel come on board as a member benefit partner is a fantastic addition to existing 50 plus member partners’, saidd Conor Swift, RYA Membership Development Manager. 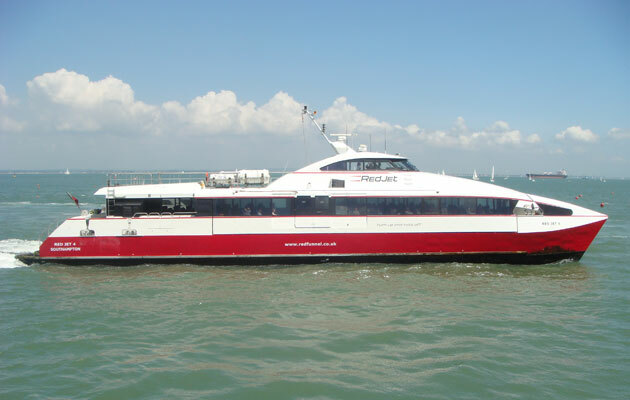 The Isle of Wight ferry company, Red Funnel, operates its fleet of vehicle, passenger and high speed ferries from their home port of Southampton. Crossings take 55-60 minutes on the passenger and vehicle ferries and approximately 25 minutes on the Red Jet and operate 24 hours a day, every day of the year. The discount will be of benefit to any RYA members participating in Cowes based events such as Cowes Week, Round the Island, and the Old Gaffers Festival. To buy Hi Speed ‘Red Jet’ tickets (Southampton <> West Cowes), simply show your RYA membership card at the ticket office on departure, during opening hours. The offer is available until March 2016.